Lo and behold – my test figure is ready! After so many words – pics! I’m very happy with him and I can’t wait to paint Thanquol and Boneripper in this scheme! I completely forgive you, for that is the purpose of our blog to inspire people, give them ideas and motivate them! 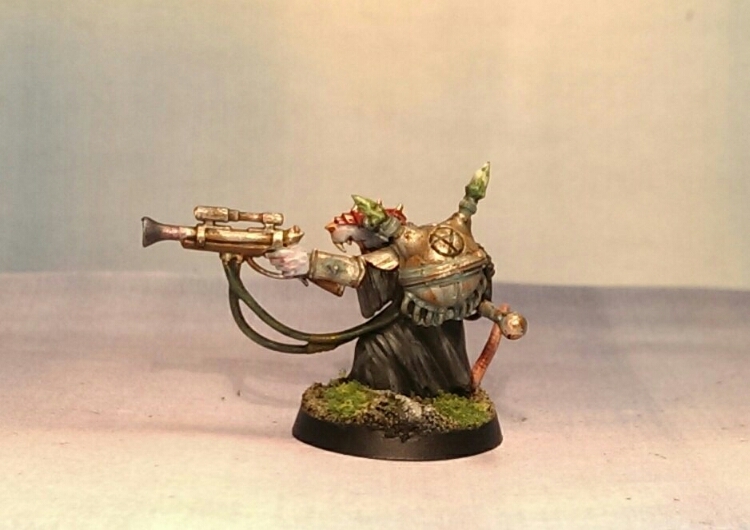 Very nice painting on that Warplock Engineer! The only thing I would do is highlighting the black with a turquoise colour. 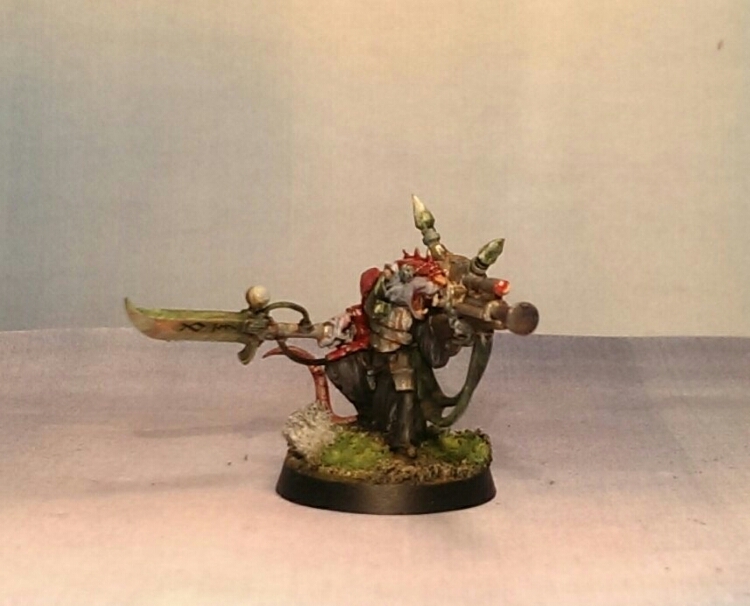 I used Sotek Green, that gives a good contrast with the red. That’s a great suggestion and I’ll definitely try it out. I just used a safe route with my dirty black but I need to push further. The thing I like the most is the skin and fur personally. I feel I nailed that quite well. Aye the French guys are super friendly and extremely talented. Everything they do is eye-candy! Good colour scheme, the red and black is a good contrast to the pale skin. 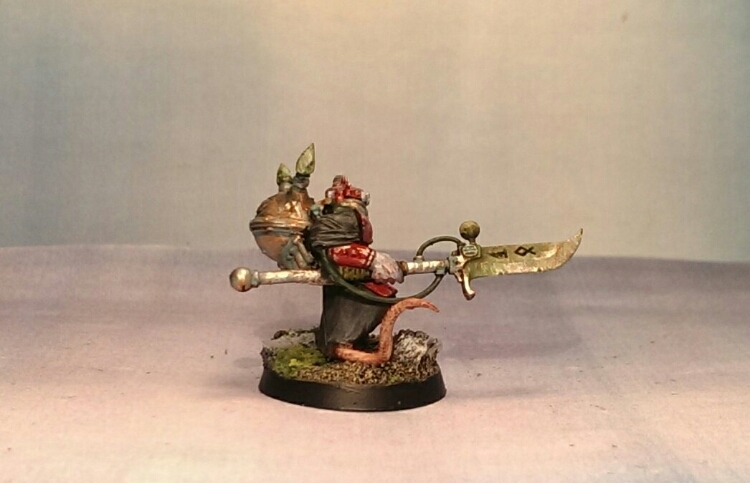 It’s nice to see someone else doing Skaven for Age of Sigmar! 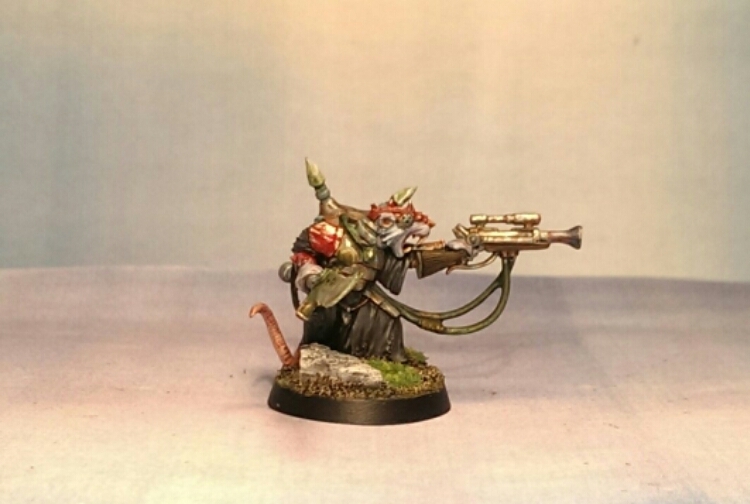 I have only just seen your figurine of skaven, beautiful paint! I also took out again for some time my skavens of the 1985s 1990 to move forward an army for a long time begun. 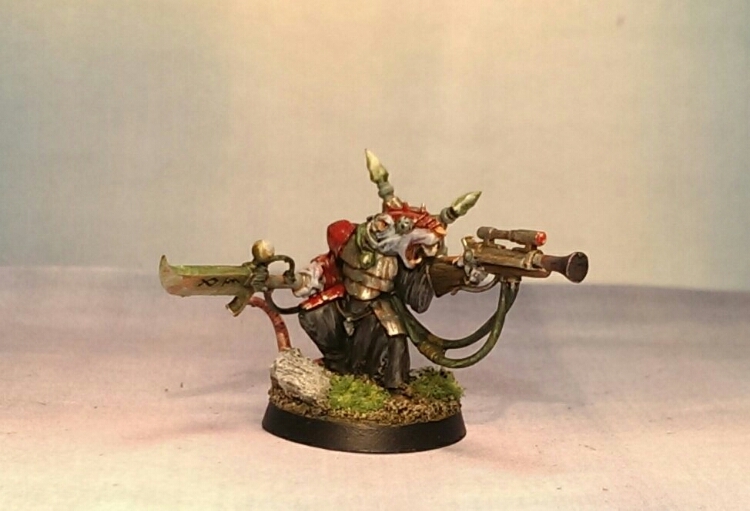 It is the nostalgia for the army Skaven de Monsieur Andy Chambers…Good warpstone! Thank you my friend 🙂 sounds great, be sure to show me some new paint on those skaven. No problem Tommy I am going to send you photos of skavens as soon as the progress of my painting will so allow it as some novelties of convensions at present in painting of marines of the chaos 40 000 for opinion, I again have to write the story which goes with if it interests you.